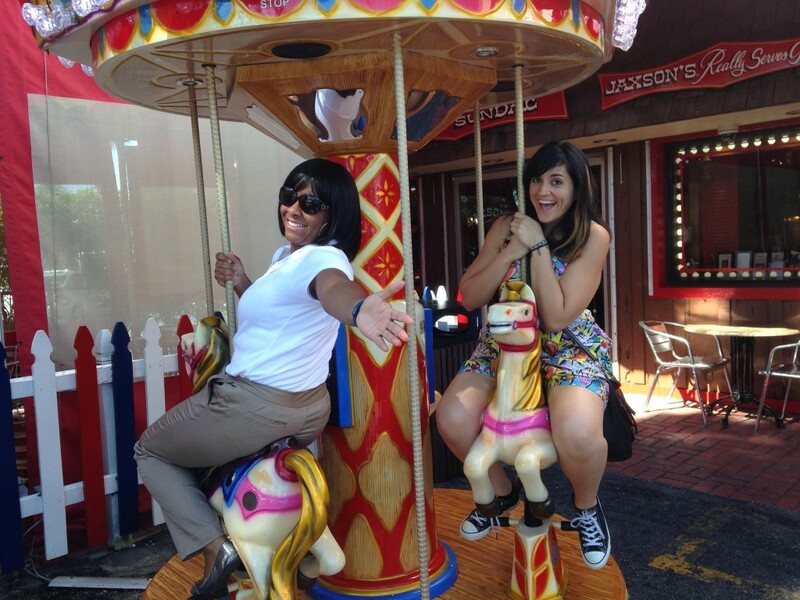 Jaxson’s Ice Cream Parlor & Restaurant + Giveaway! On a scale from 1 to 10 how much do you love ice cream? If you said any number between 1 and 10 then you’re going to love today’s post, in which I’m sharing some behind-the-scenes photos of our visit to Jaxson’s Ice Cream Parlor & Restaurant in Fort Lauderdale, Florida. Why would you want to check this place out if you answered less than a 5? Well, ‘cause I’m pretty sure this ice cream shop could make an ice cream lover out of anyone! Yolanda and I were already fans before we even stepped foot inside! 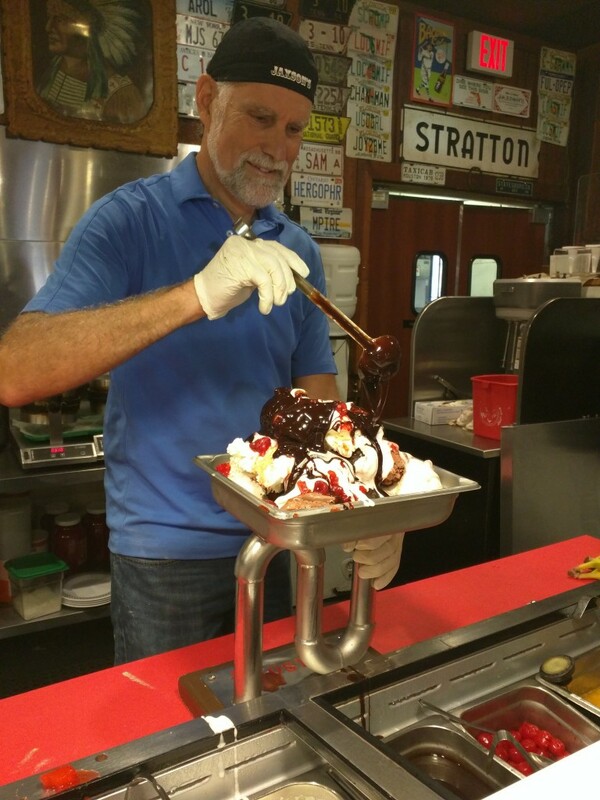 Monroe Udell first opened up Jaxson’s in 1956, and the restaurant’s been serving up homemade ice cream and tasty eats since! 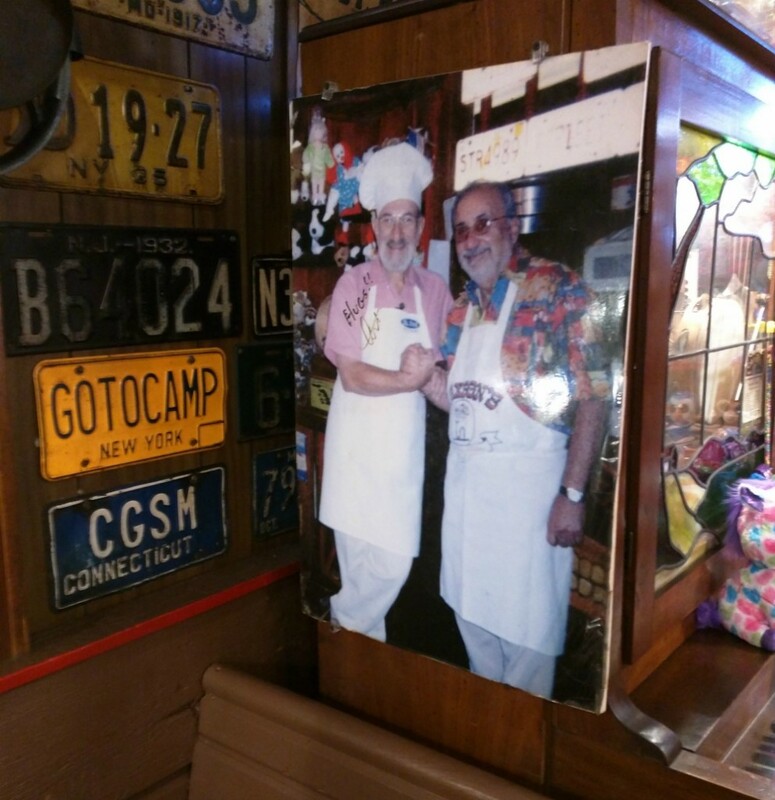 Anyone who has been here will tell you that just the experience of going is impressive – the décor is kitschy, fun, and interesting (to say the least). Just take a look! I even spotted this great photo of Art Ginsburg (“Mr. Food”) and Monroe Udell behind one of the booths! Did you know that the two were good friends? But let’s get on to the important stuff. I’m talking ice cream. 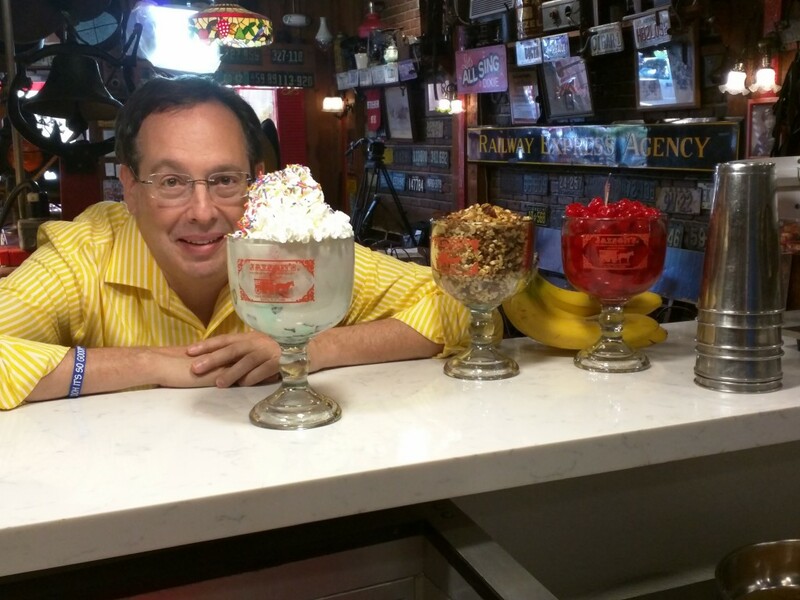 As I mentioned, Jaxson’s makes their own ice cream fresh every single day – and they’ve got a long list of flavors to choose from, including sugar-free varieties and fat-free yogurts! I got to peek in while they were making a special white chocolate macadamia ice cream. That’s Howard in yellow, helping make some ice cream! It’s as big as Howard’s head! 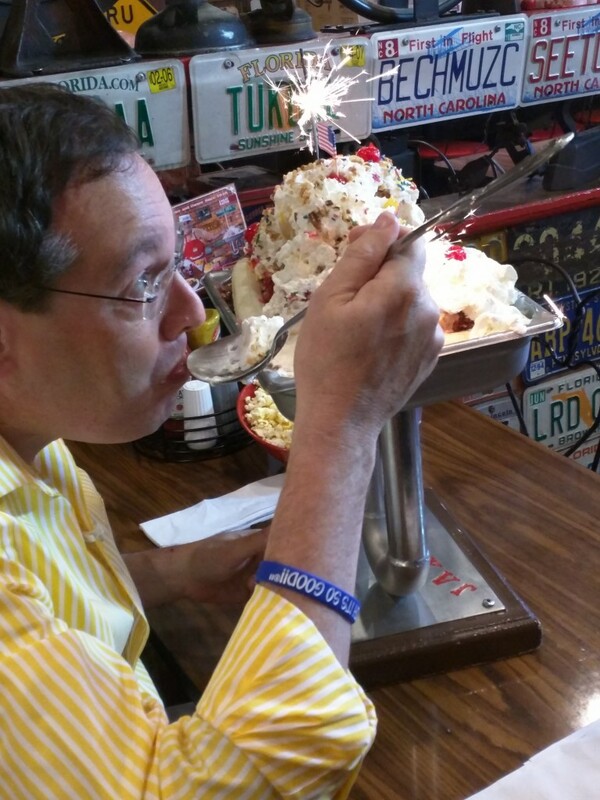 And, of course, the granddaddy of them all….The Kitchen Sink®. 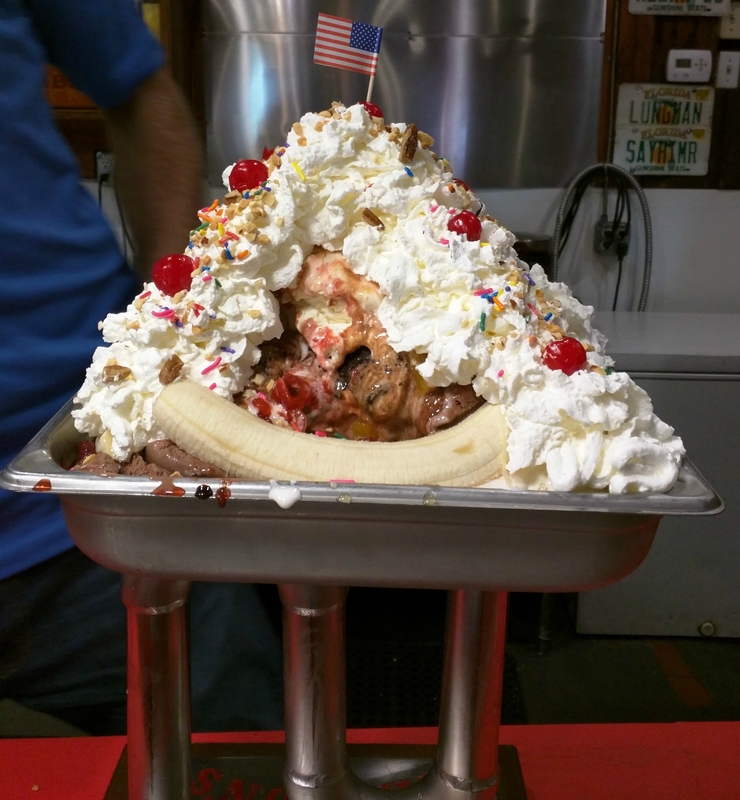 This monster-sized sundae is actually served in a kitchen sink and is loaded with over 20 scoops of ice cream and just about every topping you can dream of! It’s so big you’re going to need all your friends and family to join you in devouring it. You can’t even help smiling while you make it! The Kitchen Sink® in all its glory! As if The Kitchen Sink® wasn’t enough of a showstopper in itself, two sparklers are put in right before it’s brought to your table. That way, the whole restaurant knows you’re about to dig into an ice cream spectacular. I want Howard’s giant spoon! 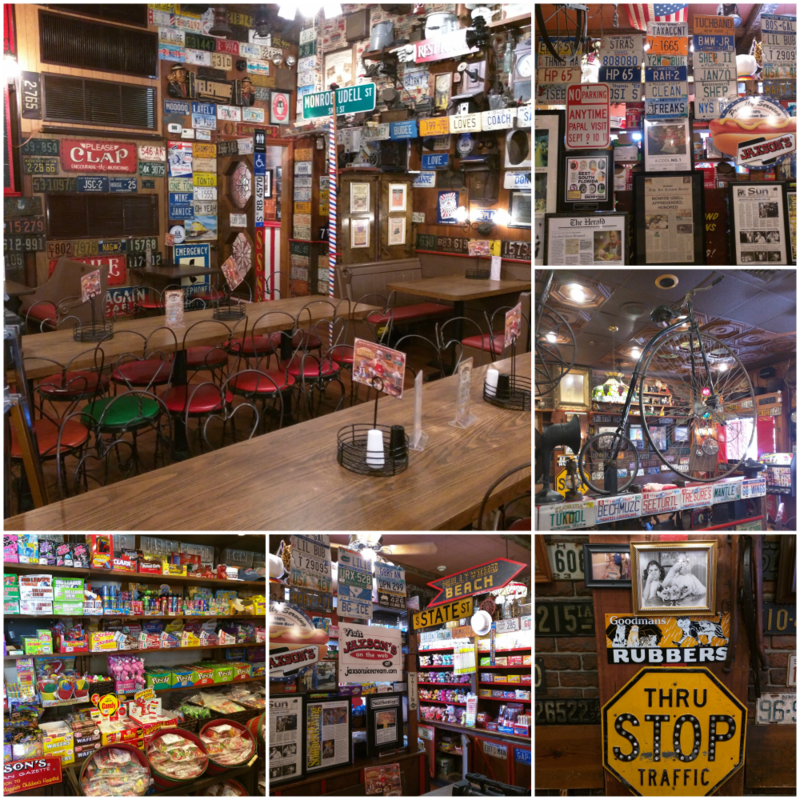 If you watched today’s show, then you’ve already seen some great shots from our visit to Jaxson’s. You also got to see our Jaxson’s inspired recipe for Kitchen Sink Pie. Yes, that’s right…you can make your own version of their famous dessert right in your very own kitchen! Oh my goodness…is your mouth watering like mine is? Before you go, I’m excited to share our latest ice cream inspired giveaway! 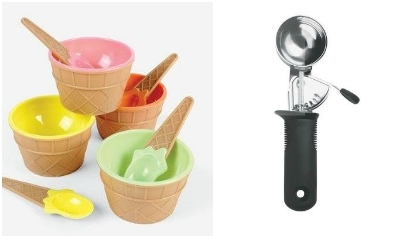 The Mr. Food Test Kitchen is giving FIVE (5) lucky readers the chance to win an ice cream serving set, including one (1) set of four (4) ice cream float dishes with spoons and one (1) Good Grips Trigger Scoop (pictured below). This is just perfect for dishing up servings of our Kitchen Sink Pie! What would be on your perfect ice cream sundae? You can also win a bonus entry by leaving a comment on the recipe for our Kitchen Sink Pie! Contest rules and how to enter are below. There is a maximum of one entry per person, plus one bonus entry. The entry will be based upon a comment left on this blog post. Duplicate comments will be deleted and are not tallied. The winner will be selected at random from the comments on this blog. Winner will be announced here on the blog as well as contacted by the email address provided. You have until Monday, August 10th, at 11:59pm EST to leave your comment on this blog post. Comments posted after that will not be counted. GIVEAWAY IS NOW CLOSED–CONGRATULATIONS TO OUR WINNERS! Patricia O. | Sherri | Daniel | Bonnie D. | Nicole C.
Be sure to check your email, so we can send you your prize! There would be hot fudge for sure and some caramel. I would have to have bananas too in additions to ice cream (of course). Dark Chocolate on the bottom and top with caramel drizzled over all. Hot fudge, salty mixed nuts, pretzel bits, cherries, hot caramel. Where is this place i saw Florida but not the town. I live in Orlando and have never heard of it. It’s located in Dania, which is just outside of Fort Lauderdale. My favorite ice cream sundae is vanilla, chocolate, strawberry ice cream scoops topped with strawberry topping, chocolate syrup, and pineapple topping all over sliced bananas with lots of pecans and whipped cream topped with a maraschino cherry. yum!!!!! Bananas, vanilla bean ice cream, whipped cream, walnuts, blueberries, strawberries…yum, yum!!! Blackberries, whipped cream, chopped pecans and a cherry. My ideal would be the old timey nut sundaes my mom and I used to buy at Woolworth’s Dime Store in Spartanburg, SC when I was a child. We would take the bus to the city and we would window shop until lunch time when we would order chicken and dumplings for lunch and then we would order a nut sundae. It was several small scoops of vanilla ice cream, walnuts in syrup, pineapple in syrup, whipped cream topper and a cherry on top – we always had a contest to see who got to eat the cherry and I think my mom cheated a lot because I almost always got the cherry! Very special memory because my mom just passed in July and we will never do that again AND Woolworth’s no longer exists. It was a simpler, happier time. Chocolate and vanilla ice cream w/ hot fudge, hot caramel sauce, toasted pecans! You can’t beat chocolate and walnuts on ice cream. Put it all on a brownie, and ooooh, it’s so good!!! I would want real strawberries, hot fudge, and whipped cream. The absolutely perfect ice cream sundae would start with a bed of chopped walnuts (so you don’t run out by the bottom! ), with 1 scoop each, of vanilla, chocolate, mint chocolate chip, strawberry, black cherry and lemon ice cream, with drizzles of various syrups alternated with scoops. Favorite (and usually available) syrups include strawberry, butterscotch, pineapple and whatever else is lying around, including melted frozen orange juice concentrate. Be sure to top the whole thing off with chocolate fudge, heated properly! Then a whole container of frozen whipped topping, then a few handfuls of chopped walnuts and one cherry on top. Only one! Don’t overdo it!!! i would have chocolate marshmallow icecream, with salted caramel,hot fudge, marshmellow, whipped cream, nuts, and cherry on top with chocolate sprinkles to top it all off. I love to make home-made vegan ice-cream right in my kitchen. It takes a while, but I can make any combo I’d like! Green tea? Yes! Pistachio? Yes! Hi! I am the office manager/social media specialist at Jaxson’s. Our name is spelled wrong…oops! It should be spelled Jaxson’s, not Jaxon’s. Thank you!! Hope you have a fabulous day!! I would have pecans, chocolate syrup and caramel so it would taste like a very cold pecan cluster piece of candy. The Kitchen Sink Pie looks almost sinful! I will try it very soon. OMGoodness!! I started salivating the moment I saw the picture!! This would be an awesome treat to serve at my next reunion! Of course I would most likely have to make at least 3 of these or maybe even 4 or 5! I don’t know, but I DO know that ONE would not be enough. And those ice cream servers would be a welcome addition to add some color and fun! I WANT TO TRY THE KITCHEN SINK PIE ASAP! I LOVE ICE CREAM I CAN EAT IT EVERDAY! CAN’T WAIT TO TRY OUT THEIR STORE NEXT TIME I AM IN THEIR AREA! The perfect ice-cream sundae would have to be topped with a hot fudge drizzle, fresh strawberries, chopped nuts, whipped cream and of course rainbow sprinkles! I love chocolate, vanilla w/hot fudge sauce and fresh strawberries when I decide to have a dish of ice cream! I love ice cream!! But I do love whipped cream, too—not that frozen tub—the real stuff! It was just made to top silky smooth ice cream–any flavor—I’m not fussy!!! The perfect one for me is simple. Vanilla ice cream and lots of hot fudge. Chocolate ice cream, hot fudge sauce, crushed peanuts and sprkinkles. The perfect one is vanilla with lots of butterscotch topping. Butterscotch is not readily available in our area–miss it greatly!! My ideal sundae would be vanilla and chocolate chip ice cream with hot, hot fudge and lots of real whipped cream and chopped walnuts. I love a good vanilla ice cream drizzled with olive oil. Simple and delicious! I would like cherry on top, walnuts in syrup, pineapple, banana, sprinkles, whipped cream, kahlua flavored chocolate drizzled over butter pecan ice cream. 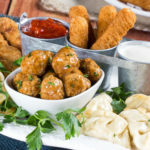 Yummmmmm! From Me Ice Cream gets a 10… Gotta have some Butterscotch either in it somewhere or on it… Used to bee able to buy Butterscotch Ice Cream from Stores now all I can find is Syrup…! That is good also… Thanks for the Chance to Win…! Vanilla ice cream atop a banana. Small pieces of Belgian milk chocolate on top. Crunchy Peanut Butter Granola on top of that. Hot fudge, crushed nuts, whipped cream, and a cherry on top. Definitely caramel, pieces of reeses peanut butter cups ,walnuts & cherries !! Coffee ice cream with extra hot fudge and caramel sauce. Whip creme and peanuts on top. My perfect sundae would be topped with whipped cream, chucks of chocolate truffles and brownies and covered in coffee flavored syrup. Let’s start with the 20 scoops of ice cream on a bed of honey-brown sugar pecan brittle. Top it with fudge brownie bites, spit bananas, fresh sliced strawberies, 2 frozen-shatered snicker bars, hot fudge, dark chocolate chips, hot carmel sauce, honey graham waffle cone pieces, and whole cashews. Caramel, hot fudge, and cherries. Mine would be with moose tracks ice cream, hot fudge, reese’s pieces whip cream and of course the infamous cherry on top! Every thing under the sink imaginable & irresistible… FOR THAT OOOOOOO IT’S SO GOOOOODDD.. THIS GOES OUT TO THE LATE “MR. FOOD” & LET’S NOT FORGET THE WONDERFUL “MR. HAWORD”…. Two mega scoops of french vailla ice cream, one covered in caramel the other in chocolate. Sprinkle those with chopped peanuts…a lot of chopped peanuts….add a mountain of whipped cream and you have my perfect sundae. I absolutely love ice cream! 🙂 Thank you. Mine would have milk chocolate, dark chocolate, and pecans on it. My favorite sundae is one my mom used to make: the first layer is chunks of shortcake then vanilla ice cream then cake again topped with ice cream, strawberries, nuts, whipped topping and drizzled with hot fudge. It is so good! I love brownies. I will heat one of my homemade brownies then smother it with vanilla ice cream,whipped cream then drizzle with hot fudge. Tons and Tons of Hot Fudge! That ice cream looks amazing!! 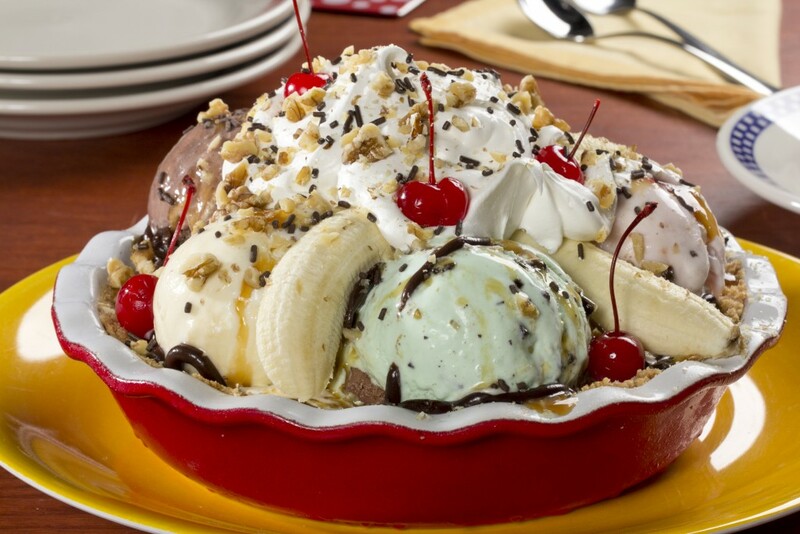 I want to try a giant banana split!! My perfect sundae would be vanilla ice cream with brownie bits in it, caramel, crushed peanuts, whipped cream & a cherry on top! I love a hot fudge sundae with whip cream and nuts! All of these sundae recipes sound mouth watering good!! But my favorite ice cream would be Chocolate Chip and a new favorite Amaretto Cherry Cordial. Tastes just like chocolate covered cherries. I want as many toppings as I can fit in a bowl, and everyone has forgotten Marshmallow Fluff and tons of whipped cream.Also no one mentions filberts. How do you have a Hot Fudge Sundae without loads of filberts. AND,, Whats with this one cherry on top. I marinade my cherries in Brandy and Rum.. Yummmm They are awesome. And I load the top of my sundae with them and drizzle some of the marinade all across the top. It’s a Hot Fudge Sundae with a buzz. Try It Once and you will be hooked!!!!! Chocolate ice cream, hot fudge, whip cream ,chocolate chips and Andes mints . Grated Coconut, Cashews, Peanut Butter, and Cheesecake Bites is what’s on my perfect sundae! Oh, man! Can’t believe I forgot the whipped cream, that’s the most important part! A warm blondie topped with vanilla ice cream, butter maple syrup, and whipped cream. I have one of the old milkshake makers that’s the first thing they want. scoop first rounded scoop of ice cream into your hand, Take a wooden handle from wooden spoon and poke hole through the center of the ice cream all the way out, dip the ice cream core in hardening chocolate and lay aside, place Ice Cream into bowl hole in center, pour small amount of hardening chocolate in bottom of hole, sprinkle Honey Roasted Peanuts into bottom of hole, then fill with caramel until almost topped, top hole almost full with more Honey Roasted Salty Peanuts, cover small hole with hardening chocolate, dip 5 to 6 slices of banana in hardening caramel and place around the edge of bowl caramel side up and pour warmed chocolate just over the ice Cream Ball and sprinkle with Honey Roasted Salty Peanuts, take 2nd scoop of Vanilla Bean Ice Cream again poke a hole with wooden spoon through center, take 2nd center piece from center of Ice Cream, cover it in hardening caramel, place them on top of first scoop of Ice cream , one on each side of the bowl, place the second scoop of ice cream on top of the other and between the 2 center pieces on each side for stability, pour small amount of hardening caramel in bottom hole of top scoop, sprinkle Honey Roasted Salty Peanuts in bottom fill with chocolate and top it off with more crushed Honey Roasted Salty Peanuts and close with hardening caramel, place sliced Strawberries with tips dipped in hardening chocolate around the outer bowl and pour warmed chocolate over just the top of the 2nd scoop, sprinkle with crushed Honey Roasted Salty Peanuts, top with a swirl of whip cream and a cherry on top. Every bite has a different flavor and the Honey Roasted Salty Peanuts just make the tastes explode in your mouth.. 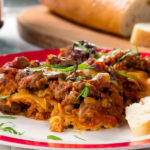 If made correctly it has a beautiful presentation and the ingredients are amazing together! Vanilla ice cream, hot fudge, bananas and toasted pecans. My perfect sundae would have vanilla ice cream, salted caramel, chocolate sauce, whipped cream and sprinkles! It would be vanilla icecream with fudge, and oreos. My perfect sundae would be chocolate ice cream, hot fudge, chocolate crunchies, and whipped cream. I am a chocolate lover, and have worked in an ice cream shop so I have perfected it! i have to go with butterscotch and whipped cream. maybe some sprinkles! A scoop of Jamocha (or some coffee-flavored ice-cream), a scoop of chocolate peanut butter. My favorite sundae includes chocolate chip ice cream, hot fudge, wet walnuts and whipped cream. Yummy!! This sundae reminds me of the fabulous ones from Bouquaire’s in downtown Cleveland, Ohio from years gone by. They were the bomb! We need a Jaxson’s in Cleveland Ohio. The sundaes look fabulous. Hot fudge sundaes are the best! Mmmm, bananas, hot fudge, whipped cream, and can’t forget some maraschino cherries! Aww Gee, IF I built my favorite Sundae it would begin with Chocolate & Strawberry ice cream & covered with berries, then hot dark chocolate fudge, and more sweet berries and mixed caramel & chocolate syrup topped off with whipped cream & cashew pieces. Cold coffee spooned on top notch coffee ice cream. Straight out of the container. That’s it! Well, I’m not that old, but there was a Jansen’s Ice Cream Parlor in Eastchester NY in the 1950s/1960s and they made Kitchen Sinks. Never had one, though. Perhaps some day hubby and I can get to the Florida location. my favorite sundae is chocolate vanilla and cherry icecream scoops topped with toasted pecans and pineapple with syrup and hot fudge sauce all topped with real whipped cream and several cherries on top ooohhh my! Hot fudge would be on my ice cream sunday. What can beat vanilla ice cream with caramel sauce? No nuts, whipped cream or fruit is needed. It’s wonderful. I eat ice cream everyday. I would want every kind of ice cream they made and every kind of topping they had on my kitchen sink. I remember when I was a kid there was an ice cream parlor called Jahn’s in Union NJ and they also made what they called a kitchen sink. It took 6 of us to finish it but it was great. Brownie on the bottom of course, chocolate ice cream in the middle, topped with chocolate sauce, whipped cream on top of that, more chocolate sauce drizzled over that, then sprinkled with crushed nuts, and a big old cherry on top! Love,Chocolate, Love, Chocolate, and Love with a cherry on top! Oh, Yeah! My perfect sundae has a banana, vanilla ice cream, hot fudge and whipped cream. I can’t imagine anything more to make this better, just be sure there is plenty of whipped cream and nuts. My perfect ice cream sundae has chocolate ice cream, a banana, whipped cream, hot fudge and Oreos. My perfect sundae would be nuts, a couple brownies mixed in, butterscotch topping and lots of whipped cream, oh and on top of that, chocolate of course! I would start with a brownie, put some chocolate ice cream on top, add hot fudge sauce and whipped cream and some chopped pecans. My perfect sundae is a scoop of vanilla ice cream topped with hot fudge, marshmallow, and wet nuts. Delicious! Thanks. I would have Neapolitan ice cream, hot fudge, caramel, strawberries and bananas, with lots of whipped cream. I would have whip cream, almonds, bananas, cherries, some little pieces of cheesecake… yum! I love ice cream, nuts are a must, fruit and chocolate syrup, sssooooo good!!!! Definitely need caramel syrup on top. Hot fudge, strawberries, whipped cream, and sprinkles. Chocolate ice cream with bananas, walnuts, and caramel sauce. My perfect ice cream sundae would start with a scoop of Pistachio, Black Walnut and Pineapple ice cream. I would have some warm chocolate fudge and warm pineapple syrup drizzled over it. I would also have a few pistachios and pineapple chunks on the top. I would top it off with whipped cream and a cherry. I would like to put some hot fudge, whipped cream, sprinkles, coconut and a cherry on top. I love a good old fashioned hot fudge sundae! Vanilla ice cream topped with turtles, caramel, fudge dices nuts, a cherry and a lot of whipped cream. I would have vanilla ice cream, chocolate syrup, chopped nuts and 2 cherries on top (because 1 is never enough)! I love a simple vanilla ice cream. hot fudge, and nuts sundae. My perfect sundae starts with a scoop of vanilla ice cream, chopped almonds and toffee bits. I would put strawberries, chocolate sauce and bananas. My perfect sundae would consist of Chocolate Peanut Butter and Banana ice cream, fresh strawberries, whipped cream and crushed Macadamia nut/white chocolate brittle on top. French vanilla ice cream with strawberries and bananas! My perfect sundae would consist of mint ice cream, chopped wet walnuts, and caramel sauce! My perfect ice cream sundae would have vanilla bean ice cream, hot fudge, hot caramel, whipped cream and nuts. The flavor of ice cream(s) depend upon my mood that day. If it is store bought ice cream I like Publix’s Premium Tiramisu ice cream and the Chocolate Marshmallow ice cream. The perfect sundae would be topped off with hot fudge, caramel, whipped cream, and Reese’s peanut butter cups. Caramel, hot fudge, pecans, and whipped cream. My sundae would be strawberry ice cream with real strawberries sliced on top. Then, I would pour on a strawberry glaze. Lastly, I would put some crushed nuts on top. My Favorite is chocolate ice cream with marshmallow topping and almonds. Nuts and cherries would be just perfect.. The perfect Sundae would be French vanilla ice cream with blueberry scone crumblings and lemon glaze ( fresh lemon juice, powdered sugar with lemon zest). As long as there’s ice cream it’s a winner. Add some toppings, and it’s heaven. Vanilla ice cream, chocolate syrup and peanurs would be on mine. I love chocolate chip morsels and pecans. Melted peanut butter and chocolate syrup are must have toppings for me!! Hot fudge, hot caramel, salted pecans and sprinkles are necessary! Real whipped cream, hot fudge and peanut butter sauce and lots of chopped walnuts! Who was first? Jaxon’s or Jahn’s? They both featured the Kitchen Sink Sundae and other similar concoctions. Also there’s was a Jahn’s ice cream parlor on Collins Avenue and 20th Street in Miami Beach where they made risque sundaes with a banana and 2 scoops of ice cream with an unusual display of whipped cream. Or her, for that matter? Jahn’s Ice Cream parlor was founding in 1897. So, while I may be partial, I’m going with Jahn’s. BTW, Jaxon’s makes the best chocolate ice cream in the world.